Home to the World's Largest Collection of Preserved Trolleybuses! 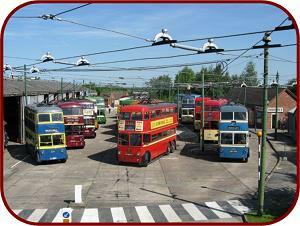 How about visiting the Trolleybus Museum? The Museum offers a fascinating day out for all the family. It is open on specific open days only between April and November (we call these “Trolleydays”) when visitors can ride on some of our trolleybuses - electrically-operated rubber-tyred buses that draw 575 volts DC mains electricity from specially constructed overhead wiring. As well as riding on the trolleybuses, there are many other things to see and do, designed to interest you whether or not you like trolleybuses and transport. There is also the 5-rated café which is a must to visit, with made-to-order meals, delicious home-made cakes and hot and cold drinks normally on offer. Disabled parking spaces are provided and much of the Museum (including toilet facilities) is accessible to people with disabilities, although there may be wheelchair access problems in certain areas. People with mobility problems may have difficulty boarding historic trolleybuses and heritage diesel buses as, regrettably, these vehicles were not designed to be disability accessible: wherever possible, Museum staff will provide assistance. Click here for more information on accessibility. The Museum offers a good environment for a whole range of visitors and strives to continually improve facilities. Of particular note for visitors with special needs is that the accessible toilet facility is equipped with an adjustable changing bench. A parent & baby room is also provided. 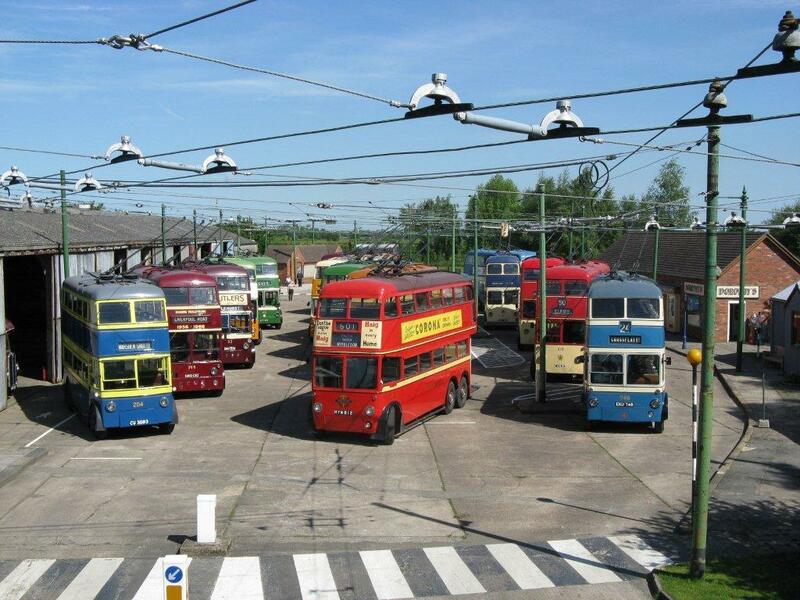 If you are interested in planning a coach trip or a party visit to the Trolleybus Museum at Sandtoft, details can be found here. Dogs, whilst not permitted in the café or the shop (apart from guide and other assistance dogs) are welcome, but should be on a lead and kept under control at all times.